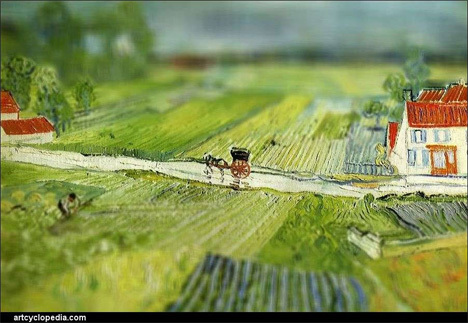 The art of fake tilt-shift photography has become something of a phenomenon in the last several years. 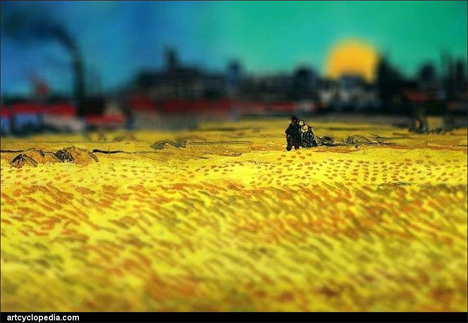 By altering the light levels and focus depth in a photograph through Photoshop or another photo editing software, it is possible to make the picture look as though it depicts a miniature scene. 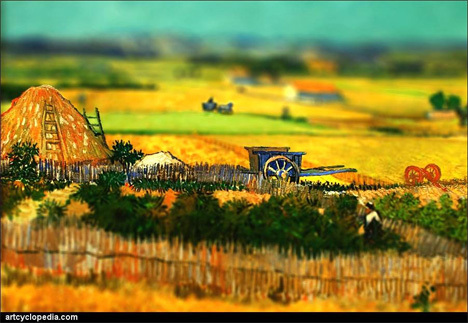 While most tilt-shift photographers use landscape photos or other real life scenes, Artcyclopedia has brilliantly chosen to reinterpret classic Van Gogh paintings as spectacular tilt-shift artworks. 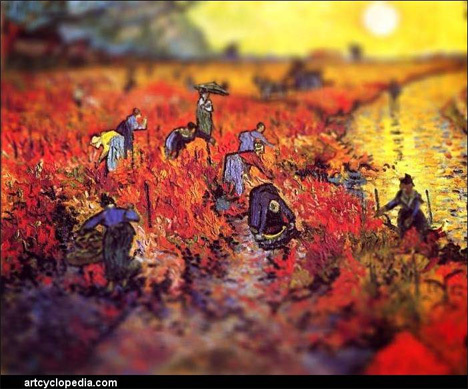 It is worth mentioning that there is absolutely no pressing need to change or improve on Vincent Van Gogh’s artwork. 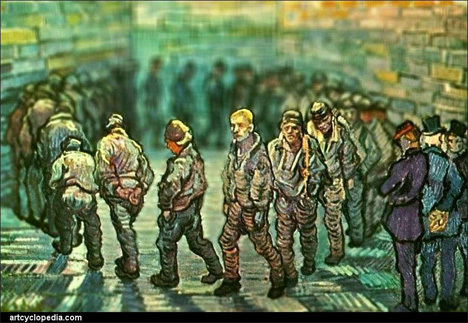 His paintings are some of the most compelling images ever created. 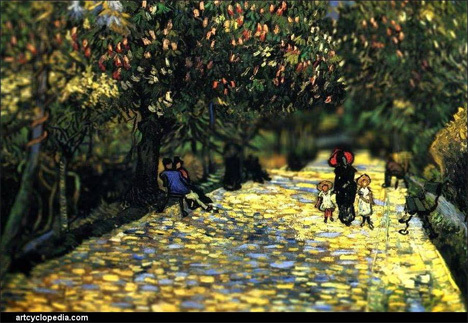 However, this project brings out surprising details in these paintings that most of us have gazed at many, many times. 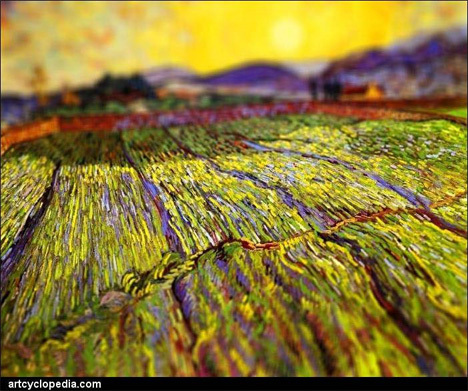 The tilt-shift effect was applied to the paintings in Photoshop by adjusting the color saturation, depth of focus and contrast. Obviously, no priceless masterpieces were harmed in the exercise. Nothing has been added or removed. But the results are absolutely stunning: the paintings, which were already breathtaking, take on a whole new context. They become more real in a sense. 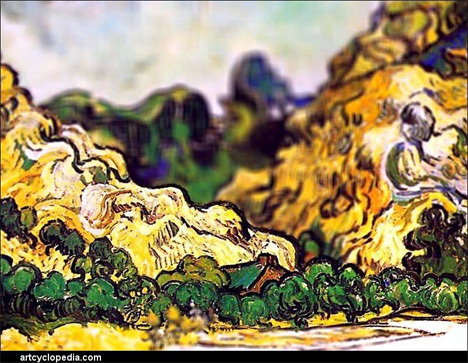 Van Gogh’s paintings were particularly well suited to an experiment like this thanks to their rich details and surreal textures. 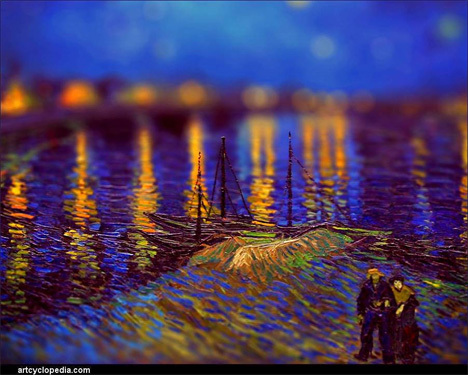 Manipulated by the tilt-shift technique, small details which tend to be overlooked normally pop out and announce themselves to the viewer. 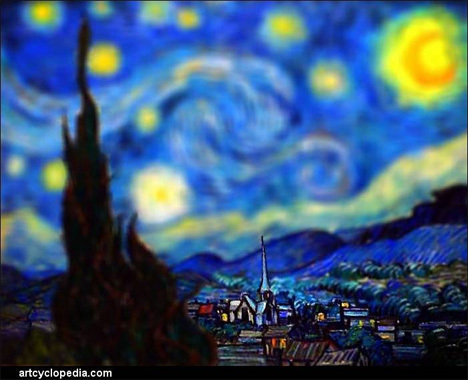 There are, no doubt, many art lovers who would protest even the harmless digital manipulation of these masterpieces. 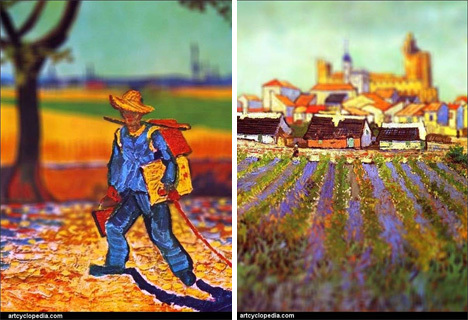 But the changes seen here are not meant to be improvements on the originals – they are simply a different way to look at Van Gogh’s work. 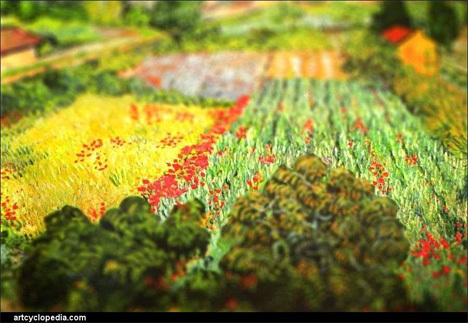 Just as tilt-shift photography of landscapes can bring out aspects of a familiar city or street that we have never before noticed, these slightly altered paintings make the textures just a bit more noticeable and the colors just a bit more vivid. 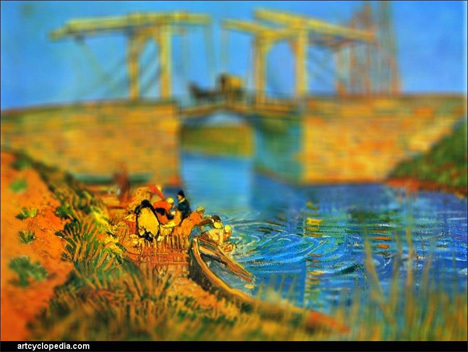 It comes as a bit of a surprise that the tilt-shift technique works so well on paintings. The distorted depth of focus transforms each two-dimensional painting into a three-dimensional world of its own. These images were all prepared for Artcyclopedia by Serena Malyon.